Kaleidoscope / The Quilter Magazine, Dec '11 / Jan '12. 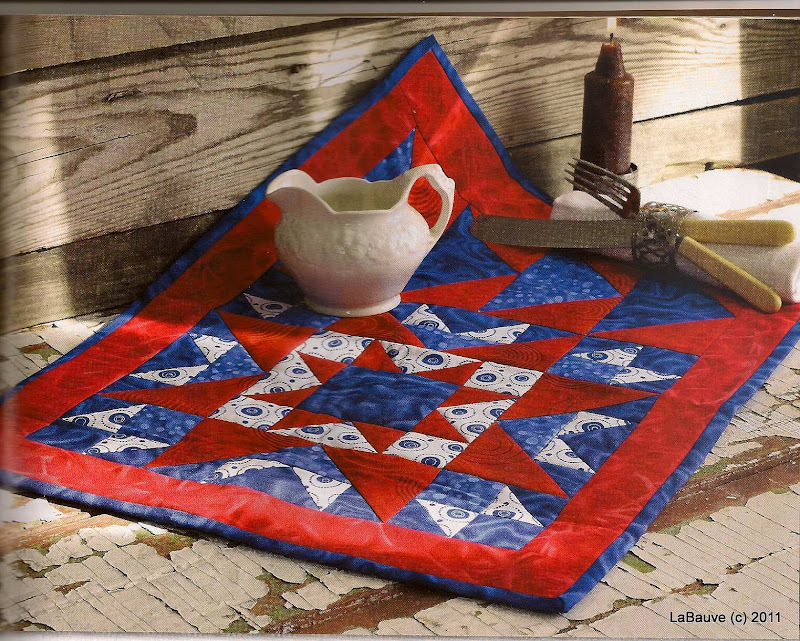 / Photo courtesy of The Quilter Magazine. Miller's QuiltThis is Miller, our Quality Control Inspector, at work. He did such a great job that we had to name the quilt after him.